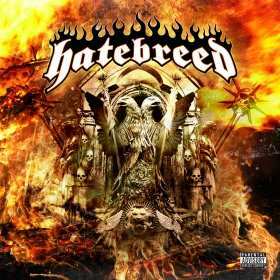 HATEBREED's Long Awaited Self-Titled Album in Stores Now! the band's EP "Under The Knife"
--  2 live bonus tracks "To The Threshold" and "As Diehard As They Come"
--  2 new bonus tracks "Lay It All To Waste" and "Preservation Of Belief"
HATEBREED will be participating in two in store signing sessions to celebrate the release with their fans. For more info on HATEBREED please visit www.HATEBREED.com, www.MYSPACE.com/HATEBREED, www.TWITTER.com/HATEBREED and www.FACEBOOK.com/HATEBREED. E1 Entertainment (AIM: ETO) is a leading independent entertainment content owner that acquires film, television and music rights and exploits these rights in all media in more than 190 countries. The company currently operates in Canada, the U.S., the UK, Holland and Belgium through its four primary businesses units: E1 Television, E1 Films, E1 Music and E1 Distribution. These businesses collectively represent E1's extensive expertise in film distribution, television and music production/distribution, Kids content, Licensing and Distribution.